Just as the body is able to heal itself, nature has provided a way for the mind to heal as well. 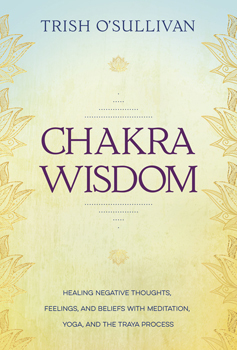 In Chakra Wisdom, you will discover how to process emotional and spiritual blocks as you release negative energy and heal the wounds that interfere with personal fulfillment. Therapist, yogi, and healer Trish O'Sullivan shares a system known as Traya, which utilizes the chakras as tools to better understand, work with, and heal the mind. This process includes techniques for connecting to your inner teacher and the deep mind so that you can recover from illness and trauma, reduce stress, and enter the stream of healing energy. By combining consistent practice, work with the higher self, and insights from Western psychotherapy, this book invites you to cultivate your spirit and realize the full potential of your life.